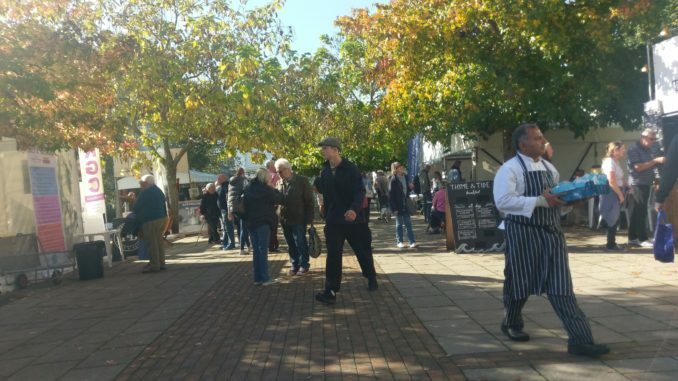 The numbers are in for the week of the food festival and show a drop in footfall of 12% compared to last year and a big increase of 31% on the previous week. This is quite surprising as the weather was great and the town felt as though it was buzzing. However the camera doesn’t lie (despite what our Town Councillors would like to believe!) and I can only assume the general lack of marketing for the town has had an impact on the visitor levels for the Food FestivaL, also probably only 2 days of the festival counted towards the total. The festival organiser’s did a fantastic job and created a festival to remember so they have done all they can to bring visitors to the town. Helen, Springboard will take a snapshot from the Dartmouth camera to confirm that it is still working correctly. I will keep you informed through this site.